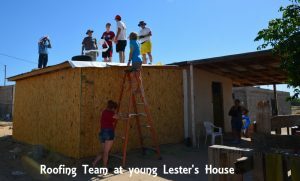 Mountain View Presbyterian Church in Scottsdale has sponsored an outreach mission trip to Puerto Peñasco each November and April since 2014, the year Cyndi Connelly began serving her three year term as a Mission Elder. 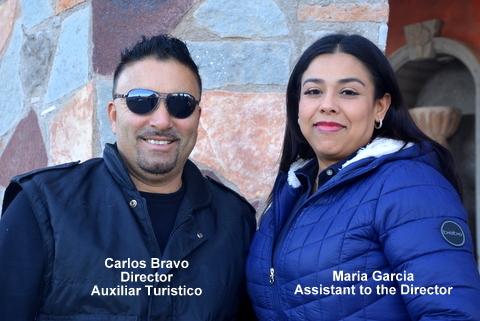 As condo owners, Cyndi and her husband, Gordon were familiar with the poverty stricken neighborhoods in this friendly little sea side town. Thus, her first action was to form a Mexico Mission Team and she has scheduled and led the mission trips ever since. 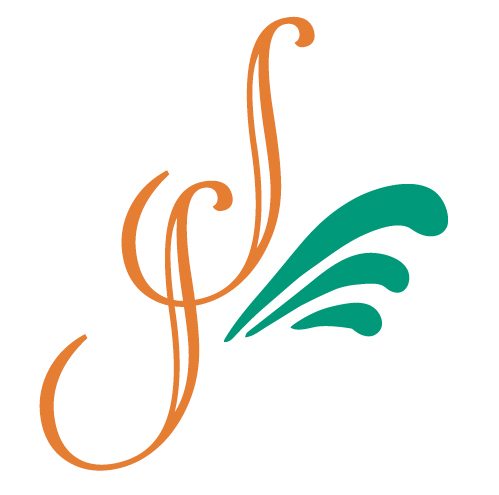 These groups of 30 to 50 faithful, hardworking Christian individuals, couples and families are very well organized and the projects on their agenda are pre-selected and based on the needs of local individuals, community centers and ministries. The mission wisely began working with a local ministry leader whose ministry has now grown into the very active Oc3an View Ministry, founded by Conrad Flores who has formed relationships with all the charity organizations in and around Puerto Peñasco, especially in the neediest neighborhoods like Barrio San Rafael on the east side of town. 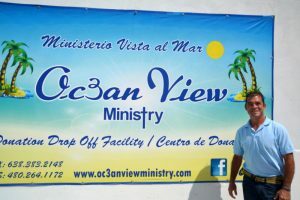 You can read more about Oc3an View Ministry in our recent blog at http://www.sonoranresorts.mx/oc3an-view-ministry-is-the-conduit-for-donors-and-doers-to-help-grateful-communities-in-need/. 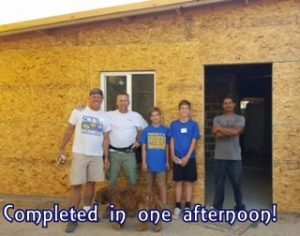 Mountain View’s latest mission was Friday through Sunday April 21-23 with 33 members working on a dozen separate projects, among which included roofing two homes, painting a community center and the playground equipment of a local ministry. 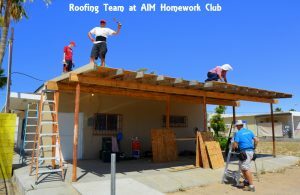 One project involved adding an addition with a window to the home of a family in Puerto Peñasco. 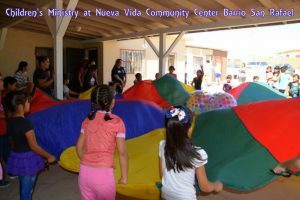 Other projects included volunteers from the church’s Children’s Ministry and the Special Needs Ministry who brought a variety of games and creative learning activities to entertain and educate hundreds of kids who gathered at several local San Rafael ministry locations including Living Stones Ministry, the Nueva Vida (New Life) Community Center and the I6Eight Community Center. Members of the Special Needs Ministry conducted a discussion class for the parents of children with special needs, such as autism, and others. 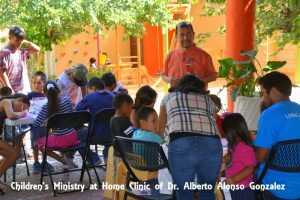 This class was held at the home clinic of Dr. Alberto Alonso González, the respected child psychologist who runs Apoyo Psicopedagógico y Salud Mental (Psychological and Mental Health Support Clinic), while the children were being entertained with creative activities in the specifically designed learning environment of Dr. Alonso’s manicured estate. 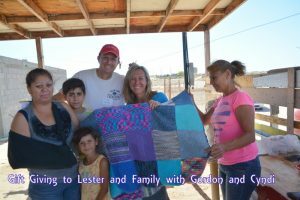 The Mountain View Mission also works with Kathleen Duncan’s non- profit AIM Peñasco organization, which, in addition to working with the students of needy families and children with special needs here in Puerto Peñasco, sponsors the Familias con Propósito en Mexico (Families with Purpose) Orphanage in Sonoyta. 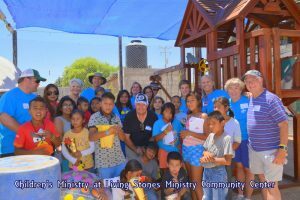 One of the mission teams stopped at the orphanage to deliver some gifts and brought four of the older children with them to help with the projects in Puerto Peñasco. “Building relationships and showing our love is a big part of what we do,” explained Cyndi. This orphanage is funded through donations to the U.S. non-profit Steps of Love organization which accepts donations at www.stepsoflove.org. 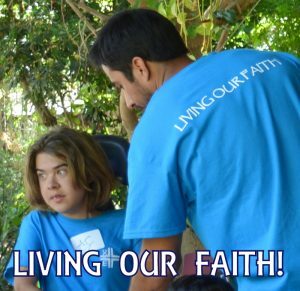 That meaningful slogan, “Living our Faith”, is printed on their sky blue team t shirts. Indeed, benevolence seems to grow exponentially among these faith-driven volunteers who pay their own way on these trips and often pay for materials and supplies. 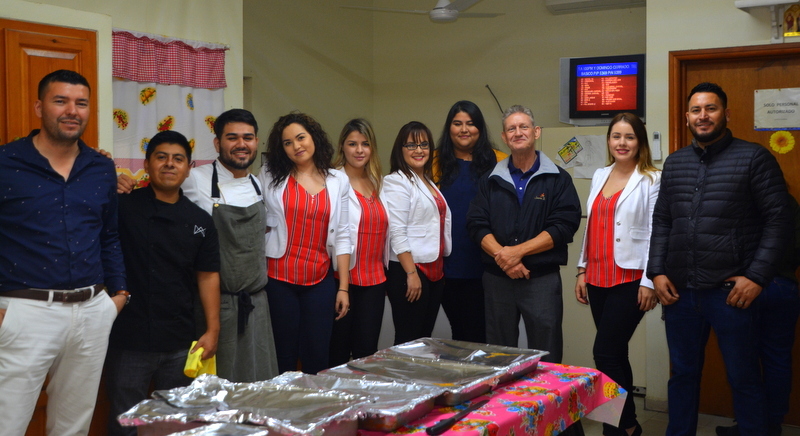 Puerto Peñasco is blessed to have such a group of highly organized and productive volunteers choosing to help our needy barrios, not once, but twice a year. 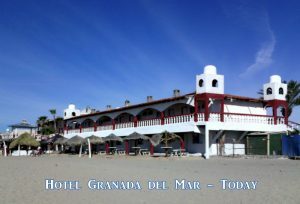 We look forward to welcoming them back in November!